For thousands of years the Sontarans and the Rutans have fought a brutal war across the galaxy. Now the Sontarans have a secret plan to destroy the Rutan race - a secret plan the Doctor is racing against time to uncover. Only one Rutan spy knows the Sontarans' plan. 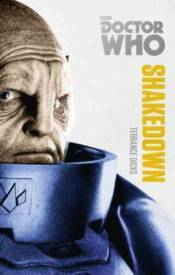 As he is chased through the galaxy in a desperate bid for his life, he reaches the planet Sentarion - where Professor Bernice Summerfield's research into the history of the Sontaran-Rutan war is turning into an explosive reality. It is an adventure featuring the Seventh Doctor, as played by Sylvester McCoy.